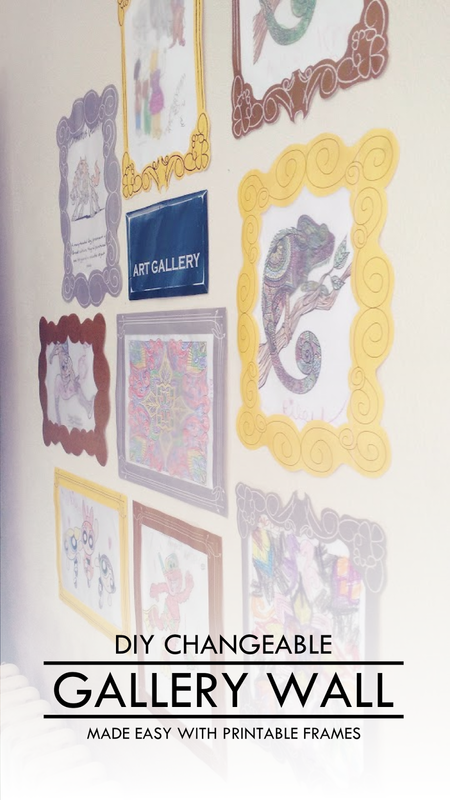 One of the things we have at my library, no matter what, is a wall full of coloring pages. We always keep a few pages out with a bucket of crayons, and instead of taking their masterpieces home kids will often bring them to us at the front desk. We would then unceremoniously hang these lovely works of art on a wall by the circulation desk. While it did mean the work was admired, it also had the tendency to look a bit cluttered. We recently freed up a wall in the kids area, and I jumped on the opportunity to create a project I'd been dreaming about for a while: a changeable art gallery. 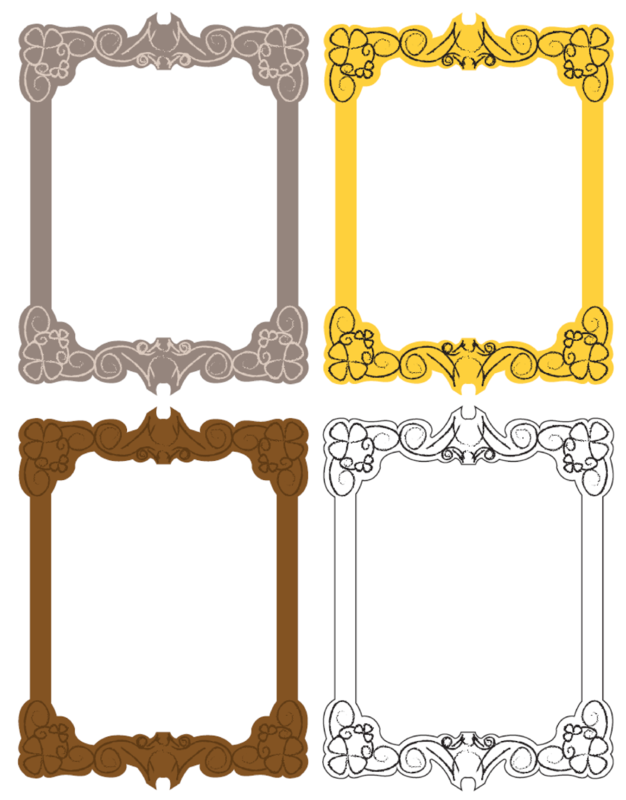 I took the time to create a few frame templates, and I'm going to share them at the end of this post! For this DIY you'll need a printer that can print on 11x17 paper, some tape, and plastic sheet covers. It really might be the simplest DIY ever. Just print out the frames, cut them out, and tape them to the plastic sheet covers. You might have to cut of sides with binder holes off, and make sure not to tape up the top! Each frame template comes with three colors and a black and white version that you can color yourself. Download the Frame Template PDF here. So far our wall has had good reviews. We've changed out a few pieces already, and kids really love being able to see their work on display. I've had a few kids that have never finished a sheet diligently color one and give it to us. It warms up this artist/librarian's heart!